Please be advised that the General Monitors TS4000H Toxic Gas Detector will be discontinued effective July 1, 2019. 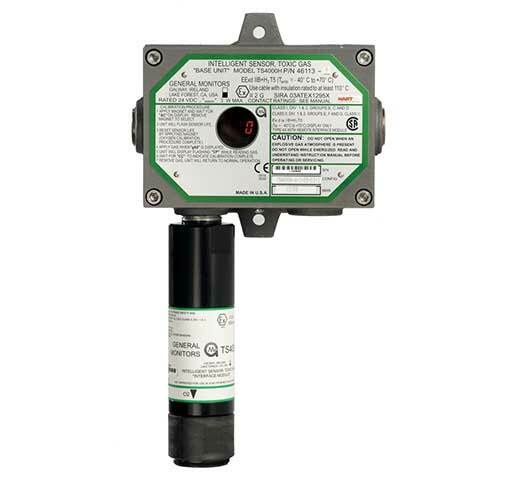 The hydrogen chloride sensor for this unit will be discontinued effective immediately. The TS4000H Toxic Gas Detector was introduced by General Monitors in 2009. In 2017, MSA introduced the GM S5000 Gas Monitor with breakthrough sensing technology for hydrogen sulfide, carbon monoxide, and oxygen electrochemical sensors. As we anticipate the launch of several more toxic gas sensors in the coming months, it is necessary to advise the discontinuation of the TS4000H effective July 1, 2019. After this date, we will not be accepting new orders for the legacy product. Please note, the hydrogen chloride sensor (p/n 45123-4) for the TS4000H Toxic Gas Detector will be discontinued effective immediately. The S5000 will have an HCl option launching in 2019. In the interim, a replacement product exists on the MSA ULTIMA® X product line using gas code 23. As with all MSA discontinued models, we will continue to support the installed base of products through our service repair team as long as parts are commercially available. Unfortunately, hydrogen chloride sensor replacements will not be available. Please contact MSA Customer Service for more information 1-949-581-4464.